Want to get your Checklist published quickly? Here are the basics to get you up and running fast. 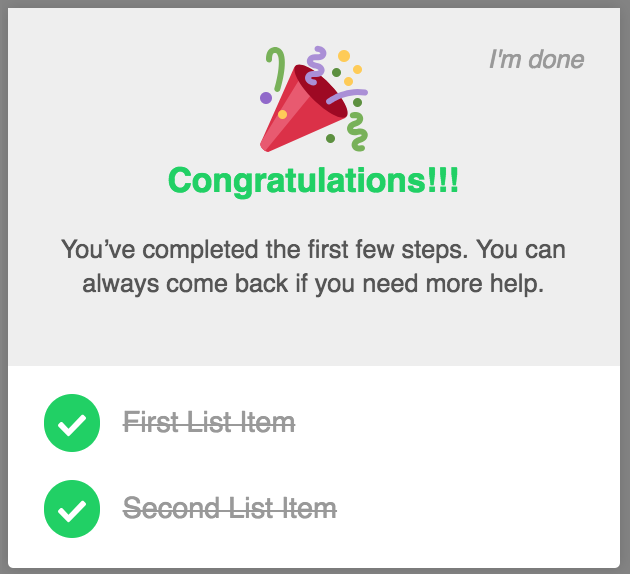 Head to the Checklists page to 'Create a New Checklist' or edit an existing one. Now let's add some items to check off. Note: If you'd like a flow to show only when launched from the Checklist, set that flow to 'Show Manually'. Go to a page: Add a URL that you'd like to redirect your users to. Launch a Flow: select the Flow a user will see once they click the list item. If the flow needs to start on a specific page, enter the URL so Appcues will redirect users to that page before showing the flow. If the URL isn't important, just add the name of the flow to be shown. When the user matches: the best success criteria is the completion of an action, which can be tied to an Event. When that Event occurs the Item will be checked. You can also use the completion of a Flow, or a User Property as the success criteria. 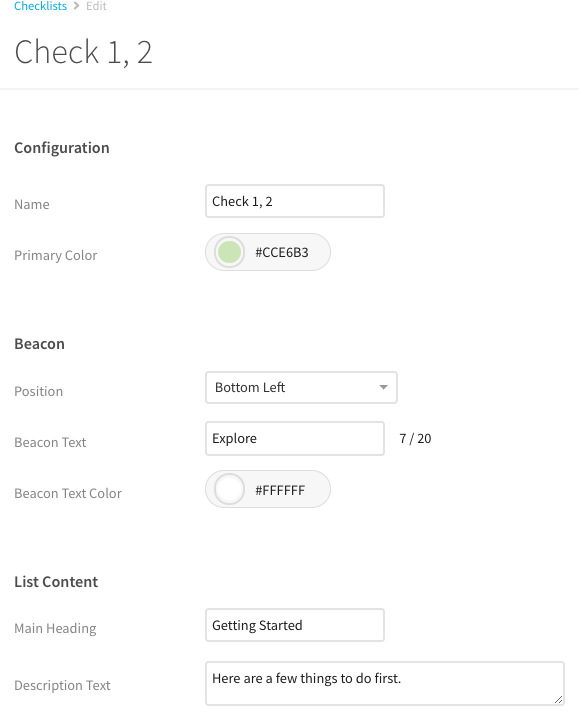 To ensure the right users will qualify to see the Checklist you can add an existing Segment, or use normal flow targeting options. Then modify where they see the Checklist, with specific path targeting and environment/domain targeting, just like your flows. If you have any questions reach out to support@appcues.com.